Tree planters are prone to musculoskeletal injuries (MSI) due to the hard and repetitive nature of their work. Tendonitis and muscle strain are just some of the most troublesome injuries in manual silvicultural operations. It is therefore crucial that tree planters know how to practice safe work procedures and select appropriate equipment. FPInnovations has participated in a task force lead by WorkSafeBC to reduce MSI in silviculture, where FPInnovations was highlighted as a resource to prevent MSI such as sprains and strains among tree planters. 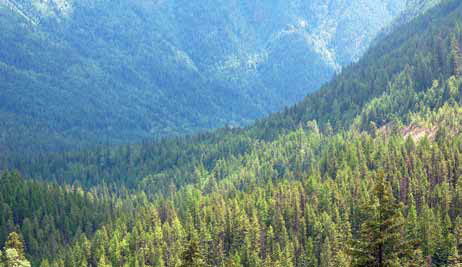 In documents produced by WorkSafe BC and aimed at licensees, contractors, supervisors and workers, FPInnovations’ Tree Planters Web Portal (https://fpi.adobeconnect.com/_a944324542/tree-planters) and its resources were highlighted, including FPInnovations’ best-selling Tree Planter’s Guide to Reducing Muscoskeletal Injuries, and two checklists called Intervention and Technique and Training developed for a Train-the-Trainer Workshop series. MSI accounts for the greatest proportion of workplace incidents in silviculture, according to WorkSafeBC. In addition to the day-to-day pain and suffering they cause, MSI injuries can become long-term from which injured workers may never recover. Among the Intervention Checklist recommendations outlined by FPInnovations’ silvicultural operations group are body movement techniques and best equipment to use for each MSI identified. FPInnovations has been running ‘Train-the-Trainer’ sessions for planting supervisors on easily implementing safety guidelines, with financial support from Natural Resources Canada. The project has not only been successful in injury-prevention, it also proved beneficial in reducing costs from lost time injuries. FPInnovations has participated in a task force lead by WorkSafeBC to reduce musculoskeletal injuries in silviculture. For more information, contact Janet Mitchell at 604-222-5685 or at janet.mitchell@fpinnovations.ca . As the world evolves from a hydrocarbon based economy to a carbohydrate-based economy, wood waste has remarkable potential for bio-chemical and bio-energy applications says Dr. Jack Saddler. But that transition won’t happen overnight and one of the main research challenges has been to find ways to economically break wood fibre down to capture its valuable chemical components. 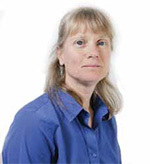 Dr. Saddler is a professor within the Forest Products Biotechnology/Bioenergy Department at the University of British Columbia’s (UBC) Faculty of Forestry. 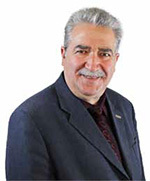 He is also a former member of the Alberta Innovates Bio Solutions (AI Bio) Board of Directors. “Nature designed wood not to be broken down,” Saddler told the large audience in attendance at this year’s Impact Innovation seminar hosted by AI Bio in Edmonton, adding that this explains why wood makes such a good structural building material. Using wood in construction is already a high value application. The goal is to investigate value-adding opportunities from wood waste as the world transitions from a hydrocarbon to a carbohydrate economy. AI Bio hosts the Impact Innovation seminar annually to share information regarding research advancements as a result of its investments in both the forestry and agriculture realms. Dr. Stan Blade, AI Bio Chief Executive Officer, stated in his opening remarks to seminar attendees that conventional bio-products such as agriculture, processed food, and wood products already contribute $25 billion to the Alberta economy. The objective with AI Bio’s research investments is to investigate and commercialize technologies and strategies that lead to new bio-products from within the forestry and agriculture sectors, to take advantage of the growing global demand for new bio-products. Saddler said it is important to view this transition from a hydrocarbon based economy to a carbohydrate-based economy in terms of generations, “not in terms of the next quarter.” However, there is no doubt that use and demand for bio-products has entered a long term trend toward growth. Speaking of the future potential demand for bio-products, he said Generation X and Generation Y are expected to increase energy use by about 30 per cent and energy consumption in places like China and India will grow as its citizens begin to demand more luxuries at a time when hydrocarbons will become scarcer. “Forestry and agriculture have a lot of the keys to solve a lot of the issues faced by the energy industry,” said Art Froehlich, AI Bio Board of Directors Chairman, in his Impact Innovation presentation. Researchers are focusing considerable effort in the area of developing a bio-refinery model with wood and agricultural waste fibre as the feedstock. Using the historical fossil fuel refinery model as an example, Saddler noted that the highest volume products marketed from a barrel of oil are not where the highest value products are derived, demonstrating that about five per cent of a barrel of oil goes into its highest value products, those being plastics, chemicals and rubber. 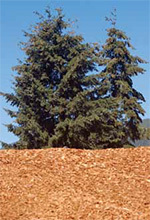 A similar story exists for a tree, with two-thirds currently directed toward structural products and pulp and paper. However, a full one-third is still available and primarily resident in the cellulose waste streams to potentially capture higher value bio-chemical and bio-energy products as supplements for products currently derived from fossil fuels. Many researchers are investigating various technologies to economically capture the valuable chemicals locked within wood fibre, including AI Bio-supported researchers at the Biorefining Conversions Network based at the University of Alberta. At the University of British Columbia, Dr. Saddler’s lab—in partnership with the National Renewable Energy Lab—is using molecular biology and enzyme molecules to attempt to economically access the valuable glucose or sugar-based chemicals within the wood cellulose. “The challenge is to do it cheaply,” Saddler said, with his research focus on being able to apply enzymes through the barriers established by nature in the wood cellulose to unleash the potential of those sugar-based chemicals. “Nature has done a great job of making biomass last a long time so there is a lot that we still need to figure out on how to de-construct things quicker,” he concluded. 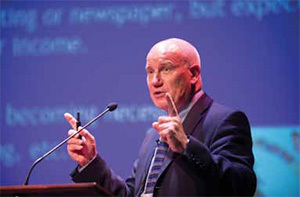 For a copy of Dr. Saddler’s presentation, visit: http://bio.albertainnovates.ca/media/56136/aibioimpactinnovation2013-jacksaddler-may_pdf. To learn more about AI Bio’s Impact Innovation 2013 event, visit: http://bio.albertainnovates.ca/about/corpevents/impactinnovation2013/. As with any other business venture, investors must have the key financial commitments and components in place prior to launching a successful bioenergy project, regardless whether the project costs $250,000 or $100 million. Among these are establishing a cash flow safety net, negotiating loans, applying for grants, signing equipment purchase or lease agreements, conducting a long term feedstock supply analysis and negotiating power purchase agreements when all or a portion of the energy produced is being sold. As an indication of the capital that can be involved, Toso Bozic, Bioenergy Specialist and Agroforester with Alberta Agriculture and Rural Development, says that the cost of producing one megawatt of power is approximately $1 million. Because the process of securing adequate financing takes time, it’s important to have a cash flow safety net to ensure that material suppliers and employees are compensated in a timely fashion, particularly during the start-up phase. One of the main initial costs of a bioenergy project is procurement and transport of the raw material. A common false assumption made by potential investors when drafting a business plan—particularly those with access to a raw material source like wood or agricultural waste—is that raw material costs are free. Even if the raw material source is self-generated and close at hand, there are still costs associated with handling and storing that material that must be factored into a business plan. Investors also need to decide whether to purchase or enter into a long term lease arrangement on procurement of bioenergy production equipment. “One of the biggest costs in a bioenergy project is equipment,” says Bozic. He says there are bioenergy equipment suppliers that offer both purchase and long term lease arrangements. The latter requires less of an initial financial outlay for investors, which can help maintain cash flow during the start-up phase. If a loan is needed to finance a bioenergy venture, Bozic says investors might be surprised at how willing some lending institutions are to provide financing when presented with a well researched and drafted business plan. He says many have established “green” portfolios, designated specifically for renewable energy or bioproduct ventures because they understand the potential of this evolving industry. Particularly in the case of smaller lending institutions like local co-ops, the Alberta Treasury Branch (ATB), Alberta Financial Service Corporation (AFSC) and Farm Credit Canada (FCC), they understand that by supporting a bioenergy venture, they are also helping to create jobs and sales for local businesses, particularly in rural Alberta, that eventually may result in more business for the bank. In many cases, though, it might be necessary to spend some time to find the right person within the lending institution to approach for a loan. Lending institutions sometimes lack the internal expertise to fully understand how these projects work. Investors will often find themselves spending considerable time educating individuals within the lending institutions about opportunities in renewable energy and bioproducts. But the bottom line is that for the lender, it is all about the numbers. They will still require a properly drafted business plan prior to approving a loan. In addition to securing financing, there are also many provincial and federal grants available to support bioenergy and bioproduct ventures, but each has a process and procedure to qualify. Bozic adds that investors must treat this type of funding with the same care as if the funds were provided as a loan from a financial institution. From a financing standpoint, investors must also have a commitment in writing that the grant funds have been approved, and will be available within a certain timeframe. Finally, all of the financial elements should be wrapped into a business plan. The Alberta government can help finance a portion of a pre-feasibility study for individual investors, businesses, and municipalities that can help gather important financial information that can become part of a business plan. It takes a good business plan to turn raw wood biomass into bioenergy profit. 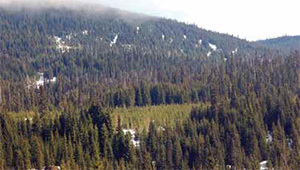 Canada has 250 million hectares of commercial forest, of which approximately 0.3 per cent is harvested annually. In 2010, approximately 687,000 hectares was harvested, producing 142 million cubic metres of fibre. A significant percentage of that wood fibre is left unused following primary harvesting/processing activities. Consequently, one of the main resources used to update BIMAT was the Canadian inventory of wood product manufacturing facilities. This contains the locations, feedstock, capacity and products for the approximately 800 mills across Canada (circa 2010-12). Therefore, the first and most obvious source of opportunity wood biomass are the mill residues produced by forest product manufacturing facilities, such as wood chips, sawdust, and bark. Roadside harvesting residues such as tree branches, tops and limbs left at roadside following harvesting have historically been burned or returned to the forest floor and are another opportunity source of wood biomass generated by the forest industry. “The downside of using logging residuals is that at present, there are no ‘by design’ practices for clean and tidy recovery, necessary to minimize the potential for contamination and obviously the major issue is transportation from the cutblock,” says Derek Sidders, CWFC Regional Coordinator for the Prairies. However, on the upside, the cost has already been incurred to transport the wood biomass from the cutblock to roadside, so only the costs of processing and transportation remain. CWFC has identified various other sustainable sources of wood biomass, the pros and cons to their recovery, and their valuation from an economic and environmental perspective. These will also be included in the BIMAT update. For example, a second potential source is purpose-grown wood fibre where land not presently forested is planted with trees in either a high yield afforestation regime that produces hybrid poplar and aspen trees with large stems and conventional heights in 12 to 20 years under intensive management or a concentrated biomass regime that consists of high density willow and hybrid poplar under intensive management, where the crops are harvested on three year rotations. The advantages of these wood biomass sources include significantly increased yield over conventional forests (five to 10 times), the ability to locate the plantations close to the final user, the flexibility to use this wood fibre for bioenergy as well as a variety of bioproducts, proven methods for harvesting and processing the wood biomass, and ecological benefits such as improved soil, air and water quality, which could have economic value, as is the case with carbon credits. A third and newer potential source of wood biomass is understorey fibre crops recovered through planned silvicultural interventions such as thinning to remove unwanted species to lower stand density or to ‘FireSmart’. While access to this fibre is generally good, this wood biomass tends to occur in relatively low volumes and is rather inconsistent in quality and species. However, the harvesting input cost is covered as a silviculture cost. A fourth potential wood biomass source is wood salvage associated with pest management or forest fires. 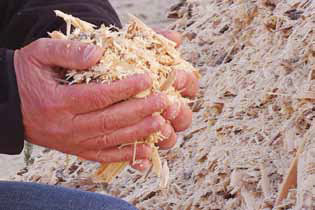 Harvesting this wood fibre usually requires full removal and the wood quality and moisture content is often inconsistent, which impedes conversion to bioenergy. However, it tends to be available in high volumes. By pointing to a location on a map and supplying parameters such as the maximum distance to search, and the desired types and sources of wood biomass, BIMAT users will be able to discover the potential biomass volume available in the supplied area of interest. The database update should be available by summer, 2014. For more information about wood biomass options as well as the BIMAT update, contact Derek Sidders at (780) 435-7355 or Derek.Sidders@nrcan.gc.ca or Brent Joss at (780) 435-7223 or Brent.Joss@nrcan.gc.ca. Various provincial forestry agencies are starting to allot some of their Crown wood for open-market sales rather than being licenced or tenured wood. This is a new philosophy for most Crown agencies as open-market sales are predominant in private land forestry, but uncommon for Crown wood. Private land wood in Canada has been traditionally sold on the stump in smaller blocks with good access. Methods include lump sum sales where the block is put up for sale and the bidder pays a single price for all the timber to be harvested. In this case the bidder is responsible for estimating the volume and value of the timber along with the cost to harvest it. Another common method for private land sales is a price-per-unit volume of wood harvested which reduces the risk to the buyer as they do not have to as accurately estimate the volume, but they do need to predict the value-per-unit and their costs. A third method is a split between the harvester and the land-owner on wood delivered to a mill at the mill gate price which further reduces the buyer’s risk. All these methods for open-market sales on private land may not be adoptable by provincial agencies due to their procurement rules and policies, larger block sizes on Crown lands, and less reliable access to Crown blocks. That said, the same principles apply for a fair and open-market sale: the seller needs to accurately describe the block and timber for sale and the buyer needs confidence the data is reliable so they can estimate their costs and revenues to put in a good bid. Traditional government inventories do not provide the necessary stand-level accuracies as they are intended for use at the management unit or provincial scale. Enhanced Forest Inventory (EFI) offers a cost competitive tool for provincial agencies to meet their obligations under open-market timber sales. 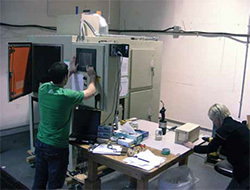 EFI is a product of the Canadian Wood Fibre Centre and various research and development partners. EFI uses airborne LiDAR combined with ground plots and imagery to create a statistically validated estimate of the volume and piece size across a forest management unit. With EFI, provincial agencies can put a Crown timber block in the surveyed management unit up for sale with confidence their descriptions of the sale are valid. The geospatial nature of EFI datasets allows vendors to accurate portray what is for sale, where it is, and what the terrain and access are like, key components for purchasers to bid on the sale. Bidders can quickly look over the sale block and recognize if the terrain and timber is right for their equipment and operational methods. Bidders are able to sharpen their pencil providing the vendor with better prices as a lot of the risk is taken out of the bid. Fuelling both vendor and purchaser with precise estimates leads to fairer sales and less conflict down the road once the job gets underway. In the planning stage, EFI allows vendors to virtually plan and time sale blocks to better match market conditions whilst meeting their forest management goals. EFI feeds seamlessly into provincial planning and reporting requirements. All these benefits come with an upfront cost and the key question is, “Does EFI provide a provincial Crown agency undertaking timber sales with benefits that outweigh the costs?” EFI has been implemented across Canada in various forest types and the cost keeps coming down as we get more experienced at working with the product. On a volume basis, we have experienced costs as low as $0.02/m3 at the management unit scale. Costs increase for more mountainous terrain and smaller areas. EFI is not designed for small individual blocks in the 100 ha scale. Each application is different and searching out experienced providers of EFI will generate the best estimate for each situation. EFI has a shelf life of around 10 years or longer so the investment pays dividends well into the future. All these are considerations for the new domain of provincial Crown wood open-market sales. We are confident EFI will provide short term investment paybacks unavailable elsewhere in the marketplace for provincial agencies that are heading out into the world of standing timber sales and is worth a look. FPInnovations researchers discussed the latest in designing and building with Cross Laminated Timber (CLT) under the International Building Code—as well as CLT’s role in North American construction—at the first-ever U.S. CLT Symposium earlier this year. FPInnovations’ Erol Karacabeyli, Manager, Advanced Building Systems, said they were very pleased with the turnout for the first ever U.S. CLT Symposium held earlier this year in Seattle. This follows FPInnovations’ successful launch of the CLT Handbook, U.S. 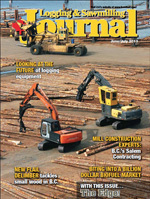 Edition, in collaboration with the American Wood Council, the U.S. Forest Products Laboratory, APA, and U.S. WoodWorks. Attendees were able to review the U.S. CLT Handbook, which provides technical information and illustrates CLT applications adapted to current codes and standards. As CLT is gaining popularity around the globe for residential and non-residential applications, FPInnovations’ building systems experts gave presentations that address issues such as acoustic and lateral designs, lifting, handling and transportation, environmental performance, fire research and testing and vibration considerations. “We were very pleased with the turnout for the event as well as the reception we received,” said FPInnovations’ Erol Karacabeyli, Manager, Advanced Building Systems. “Those interested in building with CLT seemed to have no end of questions for us all. I am sure we will see much activity in this regard in the near future,” he added. Like other structural wood-based products, CLT is a sustainable product made from a renewable resource that lends itself well to prefabrication, resulting in very rapid construction and dismantling at the end of its service life, contributing to greater re-use and recycling of construction materials. 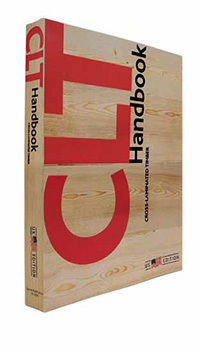 In 2011, FPInnovations published the Canadian Edition of the CLT Handbook to facilitate adoption of CLT in Canada, ultimately inspiring development of a U.S. edition. The implementation of CLT in North America marks a new opportunity for cross-border co-operation, as five organizations worked together with the design and construction community, industry, universities, and regulatory officials in the development of this handbook. The U.S. CLT symposium was hosted by the Wood Product Council’s WoodWorks program. The spread of quarantine pests in wood products will be further reduced by a newly approved heat treatment method developed in part by FPInnovations, through collaborative work with the Pennsylvania State University and the United States Department of Agriculture. The Commission on Phytosanitary Measures has officially approved the addition of microwave treatment and radio-frequency heating (60°C for one minute) to the International Standard ISPM No.15, which addresses the problem of quarantine pests on wood packaging. According to Paul Morris, Research Leader for Advanced Building Systems Durability and Building Enclosure at FPInnovations, his group has been studying radio frequency heating as an alternative to classic heat treatment in kilns. This methodology will be applicable to large logs, timbers and biomass such as wood chips. “These are the first alternative treatments for wood approved in 20 years, and may be ideal for wood products for which heat treatment or fumigation are unsuitable or uneconomic,” Morris explained. The alternative approaches are seen as economically viable and eco-friendly as they will use substantially less energy, thus saving the industry money and reducing greenhouse gas emissions, while helping to reduce pest threats and maintain and open new lucrative markets. Principal Scientist Adnan Uzunovic was lead investigator for FPInnovations and assisted the team from the University of British Columbia in evaluating microwave and radio-frequency treatments. The work was also supported by Uzunovic’s Phytosanitary Measures project, which was funded by the Canadian Forest Service (CFS). Uzunovic works closely with the CFS, the Canadian Food Inspection Agency and Canada Wood in overcoming potential barriers to export markets for Canadian wood products and for the protection of Canadian forests from pests carried on imported wood products. Uzunovic has been very active on the International Forest Quarantine Research Group, which advises the International Plant Protection Convention, an international treaty organization of 178 member countries that promotes coordinated, effective action to prevent and control the spread of pests of plants and plant products. and biomass such as wood chips.